STEP 1 Locate your meter box, generally found towards the front of a property, near the street. The box is typically in a direct line with the main outside faucet. It is housed in a plastic/concrete box usually marked "water". Remove the lid by using a tool such as a large screwdriver. Insert the tool into one of the holes and pry the lid off. 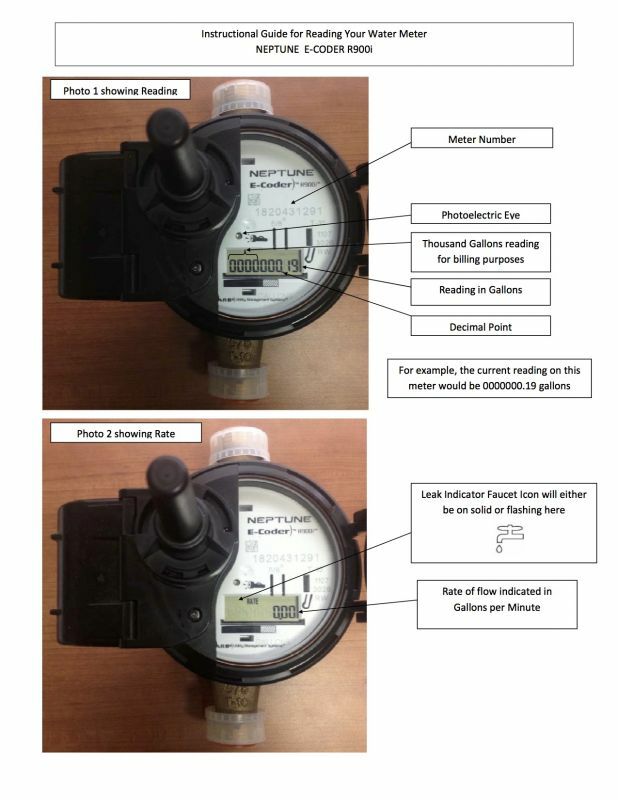 STEP 2 PLEASE CLICK ON GUIDE TO READING YOUR WATER METER - BELOW.